The United Kingdom flag is actually made up of three flags and is commonly known as the "Union Jack." 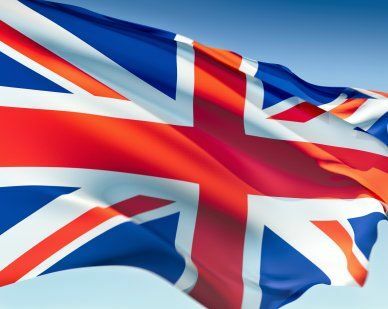 The UK flag as we know today is made up of the flags from England, Scotland and Northern Ireland, and signifies the fact that these countries are now under one rule. The English flag representing the St. George Cross was introduced in 1194 AD by King Richard I (known as the Lionheart) of England. It has a white background with a red cross. When James I of Scotland ascended the British throne and unified Scotland and England under one monarch, the flag of St. Andrew was added to the cross of St. George in 1606. This is a white X with a blue background. In 1801 the Cross of St. Patrick was added to the flag representing Ireland’s inclusion into the United Kingdom. Our top-quality United Kingdom flags conform to all official specifications. Emblems and designs are executed with the highest possible degree of accuracy in regard to detail, color shades, placement and proportion to flag size.